The fall out from Beachdown is still being felt around Brighton, not least by the people who still haven’t had their ticket money back. We managed to get Beachdown’s rather elusive Joe Pidgeon – one of four directors of Future Festivals Ltd (Beachdown), the others being Joe and Darren Murphy and Neil Cranston ­- on the phone to ask when and how the money was heading to the ticket holders. He told us we were asking the wrong person. What we think people really want to know is what is the current situation with ticket refunds? 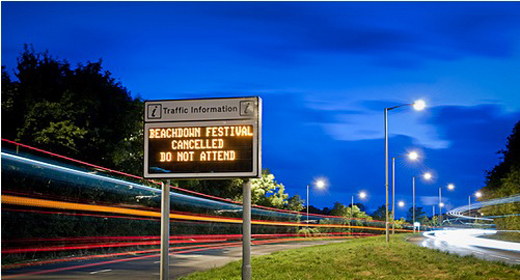 After Beachdown had to be cancelled the only way of anyone getting any money back was to put the company into administration… so that someone could be found to take over the festival contract and get back money from suppliers that we’d pre-paid. I personally made sure that I got details for as many ticket holders as I could, which I supplied to [the administrators] Clink in November. They passed that on to Marks Bloom who are now managing the company in administration. So effectively I can’t answer the question of when people will get their money because it’s Marks Bloom’s jurisdiction. So they are responsible for both refunds and communication and you’re not responsible at all? Yes. After I handed the ticket holder’s information over to Clink and Marks Bloom I was promised that each ticket holder would be communicated with on an individual level and I understand that hasn’t happened. That’s very disappointing to me. If they haven’t been contacted then people are blaming me for that when you have to ask Marks Bloom [why that hasn’t happened]. Have Marks Bloom found anyone to run a festival on the site? They’re in dialogue with a number of people. So when this went into administration it was suggested that there was someone that was willing to spend £60,000 a year to put a festival on at the site. So what sort of debt are we looking at that the money that’s coming in will go against? £1.3m? We’re just trying to work out what sort of percentage of the ticket money they’ll get back. That’s not the correct debt figure for a start. You’re not going to be able to work out what the percentage is because there are so many sets of circumstances. The intention is that not only would the £60,000 come in but also those owed ticket money would be offered a free ticket to the festival in year one as well as a percentage of the ticket money back. There’s been no announcement from Marks Bloom but all the way along there doesn’t seem like there’s been much communication. Do you feel like you washed your hands of it? I think that’s unfair. I’ve spent four months of my life… [We go off the record]…I didn’t walk away. I fronted it out until I had to hand it over to the company that was then supposed to liaise with everybody. Do you feel that the communication has been adequate? Because there’s a lot of anger around. I got all the contact details and handed it over. I’m one person. There were hundreds of people asking questions, all different. Also there were no assets – the beachdownfestival.com domain lapsed because we weren’t able to pay the people to maintain it. I’ve apologised so many times for the fact that Beachdown didn’t happen – there’s only so many times you can apologise for a situation. I hear the anger. I go back to Brighton and I’m constantly reminded of how pissed off people are. I don’t blame them but unfortunately for me I’m just as pissed off as they are. Do you feel that everything you have done has been ethical or do you have regrets about anything that’s happened? Do you have things you wish you’d done things differently? I wish that the festival had gone ahead. I wish that the bank had done what they said they were going to do and lent £37,000 to us three weeks before and then changed their mind. I wish that our ticket company had transferred £47,000 like they said they were going to do but didn’t. I wish we hadn’t paid Grace Jones £100,000 upfront. There’s a lot of things I wish that hadn’t happened but we were trying to put a festival on. I don’t think that ethics come into it. The situation that we had to deal with, and that the ticket holders have had to suffer as a result of, didn’t need to happen. The festival site was basically built. Three suppliers chose not to come, probably because they hadn’t been paid by other festivals that year. So you think there’s enough revenue to get people a decent amount of their ticket money back? I’m not happy with circumstances but they will get something back which is better than nothing. If I was a ticket holder who hadn’t got their money back, if I got some money and a free ticket for another event, personally I would say that’s better than getting nothing at all. SO READERS, WHAT DO YOU THINK?Are you still waiting for a refund? Do you feel you’ve been treated fairly? Do you agree that Joe has gone further than he needed to. Would you go to a festival on the Beachdown site? Still Waiting For Your Money Back? You Need To Speak To These Guys.